Important: RWG does not support the purchase of replica watches. 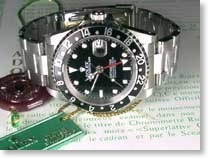 This website is intended to teach its visitors about watches and to make them aware of many scam websites out there that sell replica watches for thousands of dollars. And get the answers you were looking for! Rolex replicas, Breitling replicas, Panerai replicas - along with Bell & Ross, Audemars Piguet, Tag Heuer, Panerai, Zenith, Patek Phillipe, Longines, Jaeger LeCoultre and many others. They all have something in common - they’re beautiful watches but they’re expensive. This simple fact has meant that many people have resorted to buying second-hand, or have purchased replica and/or homage watches instead. Sometimes they’ve found themselves purchasing replicas when they thought they were buying the real thing - often they were not even GOOD replicas! Often the best deals are to be had with so-called 'Homage' watches. These are 100% legal to buy, sell and own and may even come from highly reputable manufacturers such as Rotary, Lorus, Sekonda etc. You get the look, style and functionality of the Rolex, Chronoswiss or Jaeger LeCoultre watch but with a different name on the dial and a vastly reduced price tag. Other homages include unbranded watches (i.e. with no manufacturer's name on the dial) in the style of vintage Panerai, IWC and many others. These are generally supplied by small specialist companies and you can often get an exceptionally high-quality watch - even a custom-made watch - for less than $100! Well worth a look! Another option is to build your own! A surprising number of our members have started to modify and/or build watches. It’s not as hard as you might think and the necessary parts are readily available. Plenty of advice and help is available from our membership, so join us to see just what is possible! 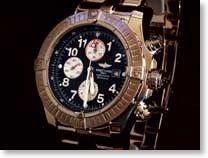 Of course, replicas and even second-hand genuine watches are also an option. 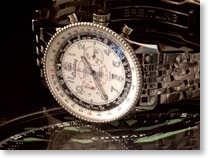 Whether buying Rolex replicas, unbranded homage watches, budget gen watches or anything else that might take your fancy, this site tries to improve the odds and help you to be sure of what you’re buying. Our members have been collecting watches for years - we know the reliable sellers, we know the dodgy web sites and we know how to tell the difference between genuine and fake. We have made this site as simple as possible in order to give you only the information you need so you can and avoid scam websites. We won’t try to confuse you with too much information. The basic idea behind this site is to tell you which are the best watches, and most important, what you should know if you decide to buy these watches. 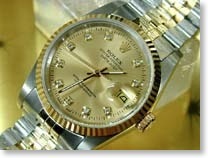 Note, however, this site does not support the selling of replica or fake watches neither do we condone their purchase. That is up to the individual. What we are here for is to teach you about watches and help you avoid the rip-off merchants.